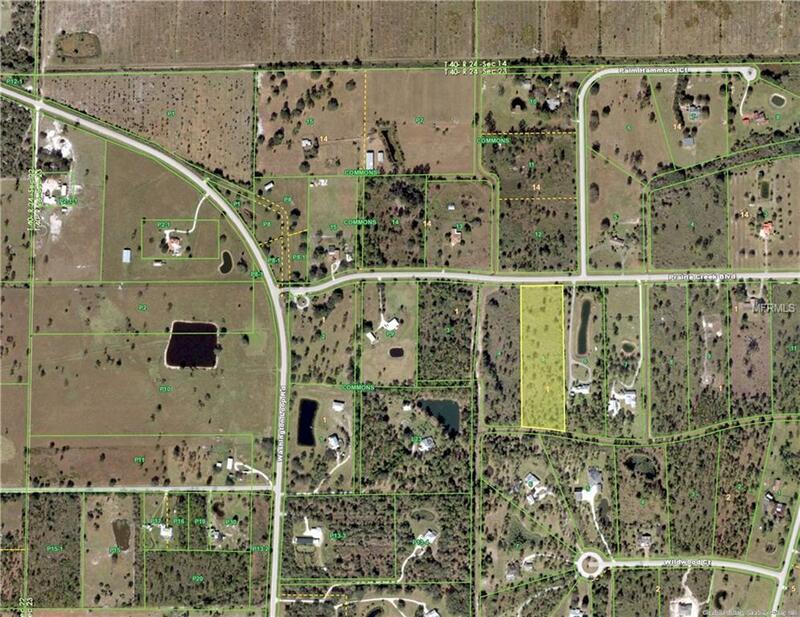 PUNTA GORDA - BEAUTIFUL DEED RESTRICTED PRIVATE COMMUNITY WITH SECLUDED ESTATE HOMES ON AT LEAST 5 ACRE PARCELS. ROADS ARE PAVED. THERE ARE MANY WINDING TRAILS WEAVING IN AND OUT OF GREENBELT AREA FOR WALKING OR HORSE BACK RIDING. THIS 5.22 ACRE PARCEL WILL REQUIRE WELL AND SEPTIC SYSTEM AND IS NOT IN FLOOD AREA. IT IS PRESENTLY IN SCRUB JAY REVIEW AREA. BUYER SHOULD CHECK WITH COUNTY. COMMUNITY IS ONLY 10 MINUTES FROM I-75 ACCESS, AND 15 MINUTES TO DOWNTOWN PUNTA GORDA. Pet Restrictions Please Read Rules And Regulations Of Prairie Creek Park.